From a British English perspective, I’d have to disagree with the idea of ‘commentate’ being an unnecessary back-formation. I’m not sure about terminology of sports events in American English, but the presenter providing information about an event in the UK is a ‘commentator’, with their role being to ‘commentate’ which is distinct from being called upon to simply ‘comment’. I have to agree with Jon. I hate sports commentators, but they do more than just comment; they (gag) commentate. Ad nauseam. I also think that administrate is not the same as administer. If you are an administrator and you’re doing your job, you are administrating; therefore, you administrate. If you are a nurse, you would not administrate a medication, you would administer (give) it. Orientate is terrible, as is preventative; neither will ever fall from my lips. I suppose that I should therefore go along with exploitive (versus exploitative)…OK, I will just have to get used to it. I can’t say I’ve ever heard the word participator, and although it does seem to duplicate the already-established participant, it seems like a legitimate word, and not without precedent in terms of construction (e.g. a person who audits is an auditor), so I don’t think I’d even blink if I heard it. I can’t say that I see any nuance that makes it different from participant, but maybe there is, or could be. I’d have to mull it over. Many of the other examples are just ignorant misspellings or mispronunciations that unfortunately have taken root, like weeds, and so should be yanked and tossed on a compost pile; good riddance! Someone needs to tackle “conversate” which is becoming a common substitute for “converse”. I particularly dislike “orientate”, although I had to keep quiet about it when I lived in the UK. I would tend to agree that “commentate” doesn’t have the same connotation as “comment”. Nothing wrong with ‘firstly’, certainly in British English. Source: any dictionary. Could it be that she really meant “psychoanalyze”? In any case, it was a ghastly nonword that she said. Don’t journalism sudents take any courses in psychology in college? It seems to me that such courses would help them to understand people like Fidel Castro, Saddam Hussein, and Jacques Chirac. Ooh, I love these words, these unlooked-for crumbs the universe tosses us to allow us to feel, occasionally, superior. Years ago, I worked as a copy editor in the equity research department of a very well-known investment banking firm, tidying up reports written by people who were making orders of magnitude more money than I was. There was one fellow who was fond of the word “furthermoreover.” Wouldn’t give it up. He’d let the edit stand, but the word would crop of a few weeks later. Some people seem to have no objection to adding unnecessary words to English. I once read that English is the only language that has a thesarus or needs one. This is not 100% true because I had seen and used the same sort of a book in German. A heavy, compresensive dictionary in English has about 300,000 entries in in. A heavy, compresensive dictionary in German has about 200,000 entries in in, but the same thing for French has only 100,000. So, a thesarus in German is quite justified, too. In English, if we wanted to make a dictionary that includied the specialized terminology of chemistry, biology, engineering, psychology, and law, that one would have about 700,000 words – for a grand total of one million. Hence, we have hundreds of thousands of useful words in English already, so why is it that some people insist on “justifying” even more and extraneous ones? Why not make use of the ample resources that we already have? “If it doesn’t have a verb, it doesn’t have any content,” I explained to him. Also “breadth” and “girth”. These were left out, and is it true that many people do not know what they mean any more? In the part of the country that I grew up in, the phrase “length, width, and breadth” was common, even if this is redundant. ‘Capability’ is another one that bothers me. It’s surely just an attempt to sound fancier than ‘ability’. “We have the capability to do this.” “We have the ability to do this.” or, more simple and direct: “We can do this.” Have I missed something here? Great list! I can agree that all of these words sound like fingernails on a chalkboard to me regardless of some of the coments above. I think words like comentate might have been used initially as sarcasm (possibly, also, administrate) since the comments or management actions by some of the subjects would not truly reflect the appropriate verb. Would you please devote a post to the often used phrase: most/more importantly. My fillings hurt every thime I hear it because I think it should be: most/more important. Speaking from the UK – commentate is most definitely different from comment (as Jon and Bluebird clearly explain). Yet another example of our two countries divided by a single language no doubt! @Melissa, I agree with you about ’till’ — the marriage service in the 1662 Book of Common Prayer (that’s the missal for the Church of England, for any heathens here present) includes the promise to love and cherish, &tc., ‘…till death us do part.’ This same ceremony, of course, requires the bride to promise to obey the groom, so you pays yer money and you takes yer choice. ‘Till’ didn’t become ‘until’ until (or till) 1982, when a lot of other questionable improvements were also invoked. Re: Till/’til: My personal preference is to differentiate between them. Till is what you do to soil, and you can do it ’til the cows come home. To me, clipping off the “un” (from until) necessitates the apostrophe, just as you do with ’em (them), ’cause (because), and other words, especially since those words might be confused with their clipped forms (em and cause are both words in their own right). As far as adding “unnecessary” words to the English language, it reminds me of when I play Scrabble, and my rack holds all these letters that I can combine into something, albeit not an acceptable English word, and I think to myself, “Well, it’s not a word, but it should be!” And who knows…someday it might be! There is always room for more. @bluebird — and ‘incentivize’ and ‘incent’ — yippee! Start the countdown: the word “functionality” sends me into orbit. “Function” is not good enough. We must have increased (not even greater) functionality. We’re used to “orienting” ourselves in the U.S., but the use of “orientate” ought not to be dismissed outright. It is, in fact, an architectural term used by church builders. The idea is that the entrance of a Christian church had to face the east to mark Christ’s Resurrection. It’s use in that very, very narrow architectural sense expanded through poor education and, I suppose, a wish to appear sophisticated, to supplant “orient”—at least in the U.K. So, “orientate” is valid, but usually misused. @Matt: Interesting, the use of orientate specifically meaning to face east. I never knew the church aspect of it. A synagogue places its ark (which house the Torahs) on the east wall, facing Israel and the Holy Temple, or what’s left of it, and when we pray, even if there is no ark, we face east. So, by your definition, we orientate ourselves. I dislike the word, but I can accept it if used in this one sense. Thank you for this little pearl! Well, I’ll be…”Peeve,” even “pet peeve,” are both in the dictionary! I knew “peevish” was there, but not the other two. I learn something new every day, especially here. Thank you for that! @Carole — I can picture MBAs everywhere flipping a coin every time they need to decide between “its” and “it’s”. I’d like to add one to the list. The use of the word respect (or disrespect) as an action verb. As in, “He disrespected me.” It drives me nuts! @Mary: And do you want fries with that? Regarding “till,” I agree with Mary. It does not appear to be a contraction of “until”; according to Merriam-Webster online, both formations go back to Middle English. @Don: ’til is not a contraction, it’s an elision. This just in — I do proofreading/copy editing at home, and today, in a letter to college presidents from a college president…. Are you ready… wait for it…. here it comes… “colleagueship.” What would you suggest to the writer as a substitute? I’m interested. Assuming he doesn’t want to be laughed out of the faculty caf? I have to admit to not having enough time to read all the posts, but my scanning did not uncover a single instance of someone objecting to “authoritarian authority.” Really? Is there such a thing as a nonauthoritarian authority? @Carol: I suppose that someone who is in a position of authority but is not very good at the job, is too laid back, timid, unaggressive or whatever, might be a nonauthoritarian authority. Kind of an oxymoron. Always fun to see a typo on a site called Daily Writing Tips. @DHH: Function and functionality are not the same. Something may function, yet have poor functionality. Functionality is a term commonly used in the I.T. milieu, and refers to a crucial quality of apps/programs that make them utile, human-friendly, etc. Something either functions or it doesn’t, but there are different degrees of functionality. Then there’s “modality” vs. “mode.” I have to admit, my eyes glaze over whenever I hear that one, a conditioned reflex from hearing about alternative medical treatments whose efficacy seems to reside mainly in the willingness of the patient to believe they’re getting better. Webst. Unabridged finds a home for its use, in that sense, in the realm of physical therapy. Since Mary mentioned contractions (its/it’s), your/you’re is one on my list. And I’s? As in Bob and I’s house. Really? Realator and nucular. Arghh! I would also add of-ten instead of making the t silent. “Heighth” seems perfectly natural and nice to me, since it goes so well with those other measurement terms that end in ‘th.’ I do recognize that it isn’t always appropriate, though. Using it everywhere would be the heighth of ignorance. Is that can of Gas really inflammable? @Carol: I blanched at “authoritarian authority”. It’s not really redundant because they don’t mean the same thing. A grammarian in North Korea might be an authoritarian authority. 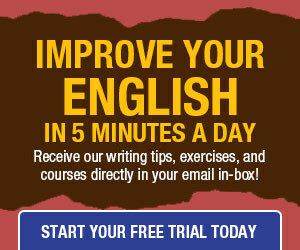 You’d think a site called Daily Writing Tips would be more authoritative. @Ray: The fact that “flammable” and “inflammable” mean the same thing is one of the great perversities of the English language. But I can see how the two seeming opposites could have converged on the same meaning. If you can set flame to something it’s flammable. If you can inflame something (as opposed to someone) it’s flammable. “Orientate” is indeed perfectly acceptable in British English. But then they don’t distinguish between “that” and “which”. They’re actually interchangeable in British English. Those who use the non-word “incent” would probably be surprised to learn that the verb form of incentive is “incite”. My pet peeve is the comma splice however most people evidently don’t know that you shouldn’t join two independent clauses with “however”. Comma splices can incent a riot among prescriptivists like me. My MS Word 2007 is happy to accept most of these words. It only objects to Dimunition, Heighth, Irregardless, Supposably, ’Til, and Undoubtably. Firefox is happy to let me use irregardless. Kudos to @Jill for the fine grammar catch. 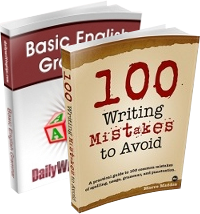 This posting gives poor advice to writers who struggle with the language. I have no opinion on any of these words because, borrowing an Americanism, my opinion isn’t worth squat. There are well-defined authorities for word usage (like “squat”): they’re called dictionaries. It makes no difference what I or you think should be a word. Encouraging writers, especially novice ones, to think that their opinion matters is poor advice. If in doubt, look it up. ‘Inflammable’ is not saying ‘un-flammable’ – it just sounds like it. ‘Function’ is to ‘functionality’ as ‘intention’ is to ‘intentionality’ – all real words with clear definitions – don’t attempt to ‘leverage’ their usage. Did my father make up the pseudo-word “undisirregardless” to mock those who believe “irregardless” is a word, or not? I used to work in communications at a church and in calendars and literature the leaders insisted on using the word “fellowshipping” or using “fellowship” as a verb. I realize this is accepted in online dictionaries, etc. as acceptable, as they often pointed out to me, but it just seems WRONG. Anyone know how fellowshipping became a thing? Is it just religion speak? Can I say instead of socializing that I am “friendshipping”? Great list. I have always advanced the general rule that a new word is justified if it fills a genuine need, and conforms with the overall rules of usage when it is used. So, commentate, and societal would seem legitimate contenders to me. They do have nuanced meanings apart from comment or social with which they fill a need, albeit somewhat narrow. Administrate I wouldn’t give the same recognition. I’d say an administrator still administers his program. I know orientate is standard in British, but it is an unnecessary elongation (the verb is to orient) so not acceptable. Likewise preventative, and firstly (tho I wouldn’t say that is wrong). OTOH, by the same token I’d say exploitive is preferable to exploitative. We exploit. We don’t exploitate. Heighth, miniscule, dimunition are simply misspellings based on bad analogies (Febuary, momento) or bad pronunciation, so are simply inexcusable. Supposably could probably be defended as a word— a flying pig isn’t even supposable. But when it is simply used mistakenly for supposedly, it is simply wrong. Undoubtably could probably be distinguished too, but it’s not worth the confusion. The problem with irregardless is that if it were a word, it would mean the opposite of the way it is used— not regardless. Till seems fine on it’s own, but until is best for formal writing. @ Tim: You’re too modest. YOU are giving the worst of advice regarding use of the language. Dictionaries are descriptive, as has been pointed out ad nauseam here. They rarely or never speak definitively on anything beyond what is common. Places like THIS are the very places people should go if they want a real substantive answer about English usage. Likewise more authoritative specialized sources on orthography, orthoepy, style, etc. Dictionaries? I hope you don’t have heart surgery performed by the school nurse or at the local first aid clinic. @Christina: Yes, as you suspect the verb “to fellowship” is church-ese. It is very common here in the US, especially in evangelical circles. It is appropriate, really, for internal church communications because it has a specific and well-understood meaning for them that nothing else precisely expresses. A term of art, so to speak. But is it probably best left out of formal or mainstream writing. Compare the way they use the term “to witness” as intransitive as well. For my part, I find it exceedingly odd that the word “wayfinding” is not included in dictionaries. It’s a term with decades of architectual discussion and science (heck there’s even international agreements on wayfinding. That’s one reason why airports and their wayfinding signage is the same everywhere you go). I guess lexicographers only work so fast. Still, 5 or 6 decades seems a long enough time to recognize that wayfinding is in fact a word. Dictionary.com shouldn’t be that much faster than Oxford or Merriam-Webster should it?